Marine vessels are naturally subject to a build up of algae and barnacles, grime and dirt, bilge-oil film and blisters after an extended time in the water. These and other unwanted additions to the hull can eventually cause so much drag that they affect a boat’s performance. Removing these types of growth and contaminants by hand is not only incredibly laborious, but it can also cause damage to the surface, particularly on a fibreglass hull. Doing so, it is easy to scratch or even gouge the gelcoat, which can lead to blisters and fractures. The difficulty of stripping a boat hull also means that it can be tempting simply to apply a fresh coat of anti-fouling paint over the hull without stripping it right back beforehand. As well as hiding and then eventually exacerbating problems, this also means that boat performance is affected as a result of the rough bottom and the excess weight produced by too many layers of paint. 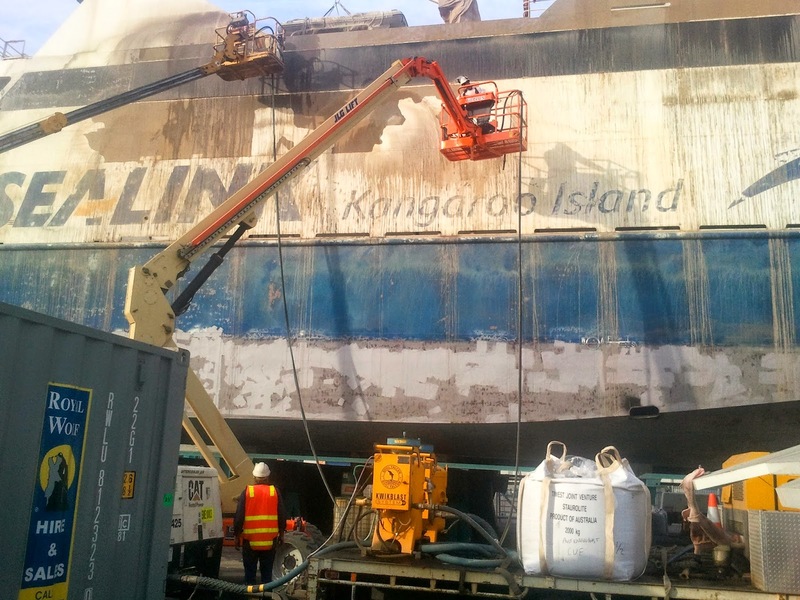 Wet abrasive blasting is extremely gentle and effective at removing unnecessary and harmful paint layers and other build ups in such a way as to maximise boat performance, without requiring enormous amounts of time and intensive labour. This means that there is more time available for anti-fouling paint and protective coatings to be applied thoroughly without increasing your downtime and maintenance costs, which will in turn have the effect of adding years to a vessel’s lifespan.